Just thought I'd show you what I have been working on this week. 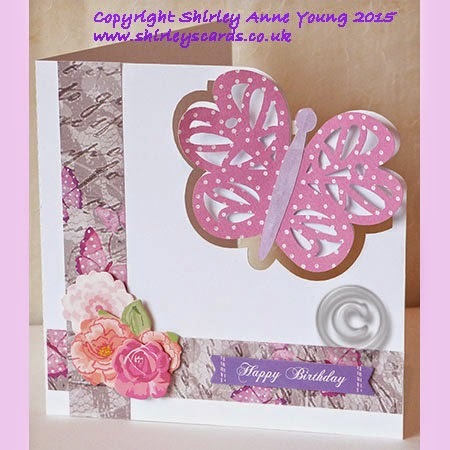 Finally here is the freebie Butterfly Card for you, hope you like it. Love the Mum's Day Card - lots of movement! You've got a very lucky cat. Fun treat jar. Your butterfly card is gorgeous, Thank you so much for sharing. Thanks Shirley for the lovely card. Beautiful work thank you so much for sharing!!! 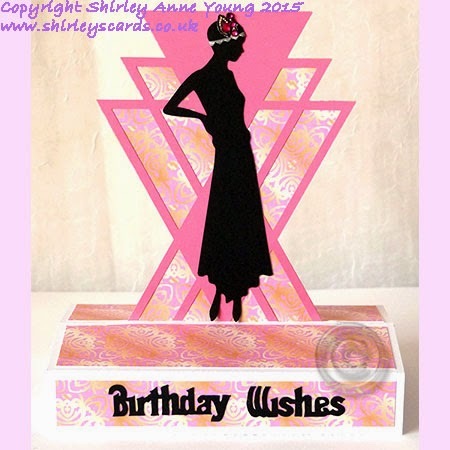 Shirley, your cards are always lovely, but that Deco card takes the cake, just gorgeous! WOW that holiday must have done you good Shirley, these are wonderful, such pretty designs, thanks for the freebie too. 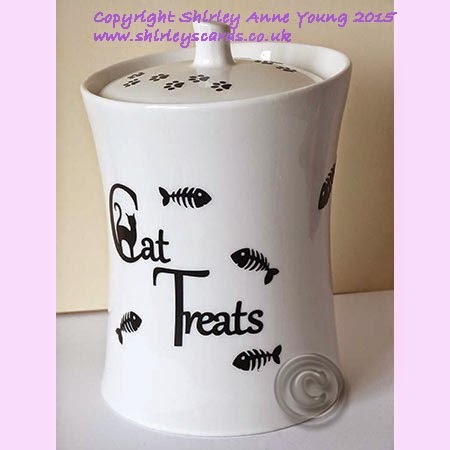 Love your cat treat jar, so clever and looks fab too. Your projects are all lovely! Such talent! TFS the free card file..........it is much appreciated! Gorgeous new creations...my mum's birthday today so I am keeping busy with the cameo....keep my mine off things, she would have been 92. Beautiful as always, Shirley!! The cat treat jar is adorable. Gentil partage, j'adore les papillon. belles cartes. Your cards are so wonderful. Thanks for sharing.